First-year farmers face a steep learning curve, so starting with a few applicable skills can go a long way. John came to New Entry in 2012 with some very applicable skills, from carpentry to intensive gardening - in short, how to build things and how to grow things. Just as importantly, he came equipped with key traits for any grower: grit, determination - stubbornness, even - but also an eagerness to learn. 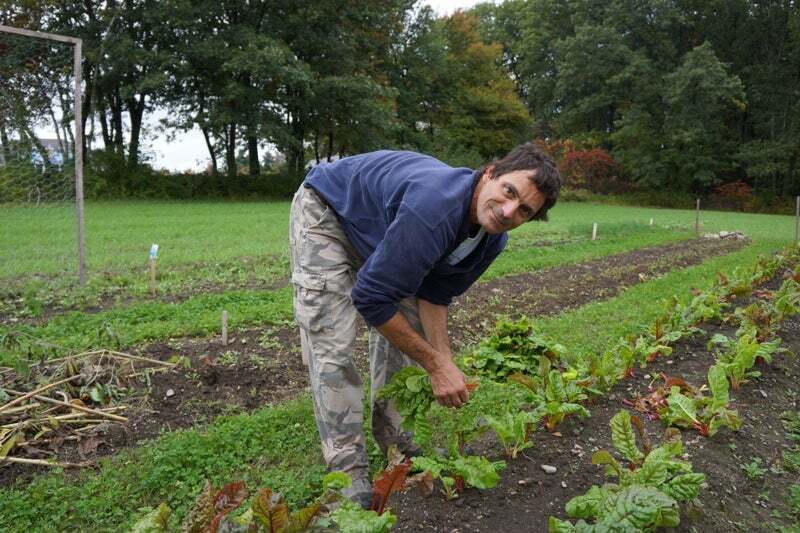 After graduating from the Farm Business Planning Course in 2013, he grew vegetables on a ¼ acre plot at New Entry's incubator training farms and at his Chelmsford home’s large garden (once a large lawn, before John got his hands on it) … and to no one's surprise, entered his second season looking to expand.